Most, if not all, businesses are going the website direction. This is a good thing given the high viewer and possibly sale returns expected from it. Blogging is quickly gaining popularity especially due to the fact that it is the second cheapest way of marketing (word of mouth being first). All that is needed is your time. The best thing about it is that there is all sort of information out there about blogging that can kick start you into productive marketing. Just like any other website, yours needs to be marketed if you need adequate traffic driving people to it. Blogs are today’s most efficient, affordable and successful way to market your online business. The best thing about it is that the information does not have to be specific or in line with a particular topic. The flexibility and ease at which you can write topics make it an even better option. You can choose to write the blogs yourself or hire experts to write them for you for an even higher chance of driving traffic to your website.However, there is a criterion that should be followed when marketing your website through blogging. Always keep it in mind that the main purpose of the blogs is to drive traffic on to them and in turn divert the traffic to your linked website. In this case, it is in your best interest to incorporate titles and content with certain keywords that visitors will likely find you through when searching for relevant information. However, be careful to incorporate them naturally into your content. Let the content flow freely for an easy read. Keep it in mind that it is only to you that the blog is needed for business but to your readers, information is what they are looking for. If well written, it will be a win-win situation. Content is very important when writing blog articles. Lets put it this way; readers and your potential customers will be drawn to your website depending on the kind of content displayed on the blogs. In this case, keep up with the latest and write about it. If good enough, other bloggers will link your blog in theirs hence a higher chance of traffic to your website. Keep the information rich and relevant to your line of business, products and services. The idea is to make yourself the ‘to-go-to person’ for the latest information and in the process drive traffic to your website. If you are in technology, keep your blogs rich on the latest gadgets, technological tools and tips. 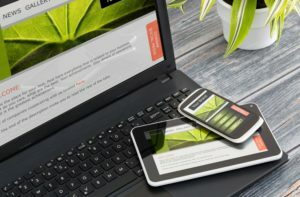 This effective technique was initially used for websites but is nowadays used for blogs as well. In this case, write your articles as professionally and informative as possible to pull in a crowd of readers and then use backlinks to direct the same readers to your website with an assurance that they will get equally rich content and help there. There are various marketing strategies out there for websites, but it is advisable to go for the most updated and rewarding such as blogging. People of all ages, careers and interests are all over the web-hungry for information. Feeding them could translate to their bringing traffic and hopefully business your way.